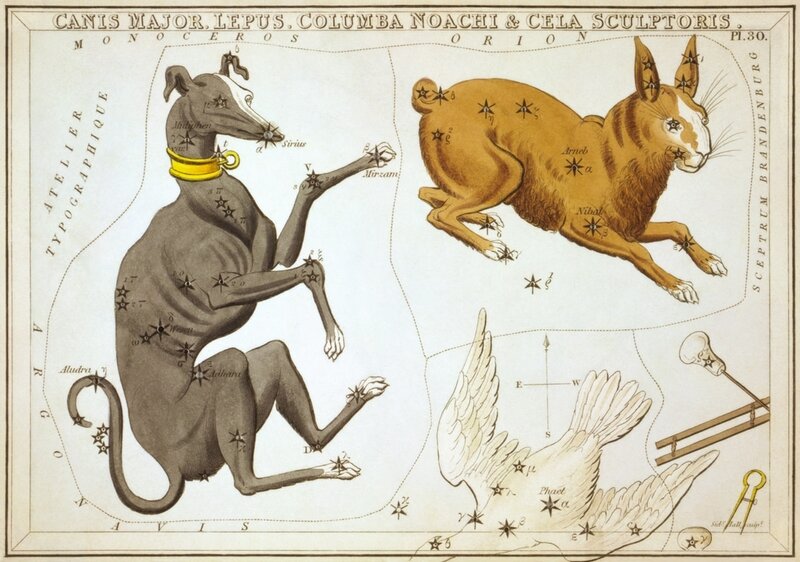 In Greek mythology Canis Major is normally said to represent the hunting dog Laelaps. Laelaps was one of the gifts given to Europa, and has special skills that ensured it would always catch its prey. Laelaps would be used by Amphitryon to chase the Teumessian Fox which was ravaging Thebes. The Teumessian Fox was destined to never be caught, and so when Zeus saw the paradox occurring on earth, he transformed the two animals into constellations, with the Teumessian Fox becoming Canis Minor. There were other dogs in Greek mythology who some say became Canis Major, including a hunting dog of Orion, or Maera the loyal dog of Icarius, who became Canis Major when Icarius became Bootes.